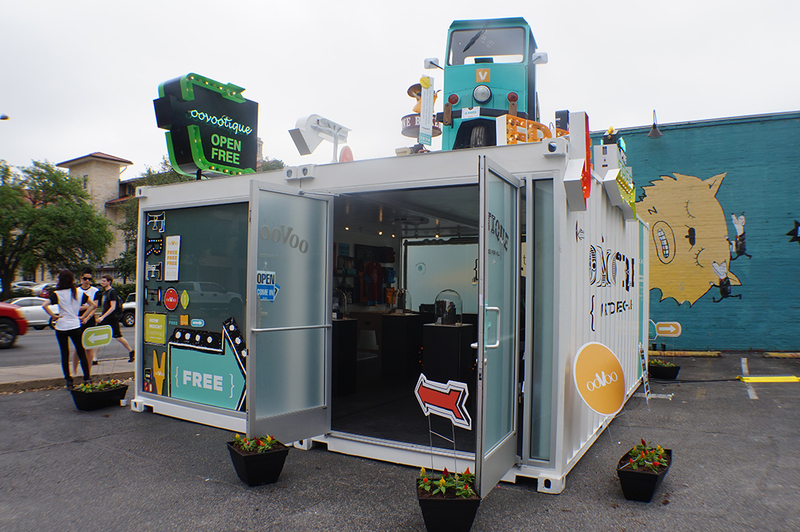 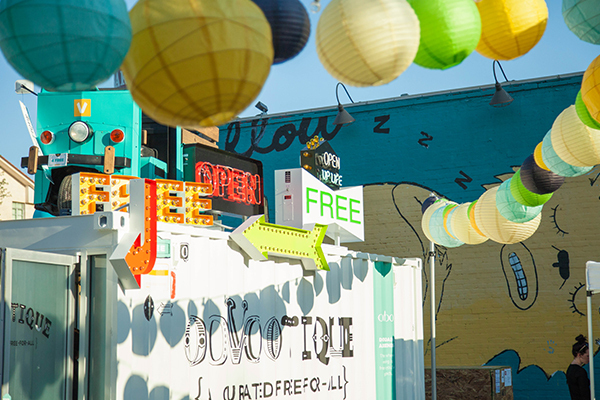 Two 20-foot shipping containers converted into beautiful boutiques, complete with specialty lighting, sliding door systems, heating and A/C, and custom signage. 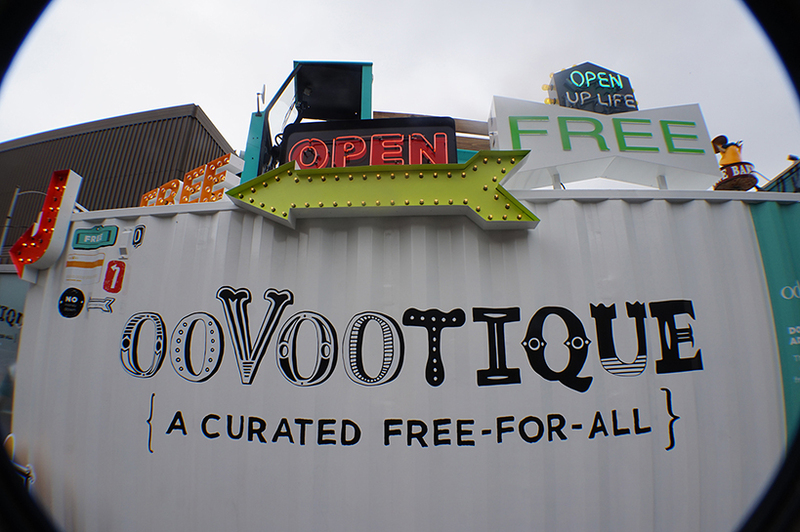 The Oovootique was filled with a wide array of gifts and was equipped to accept payment in the form of friends from consumers’ Oovoo rosters. 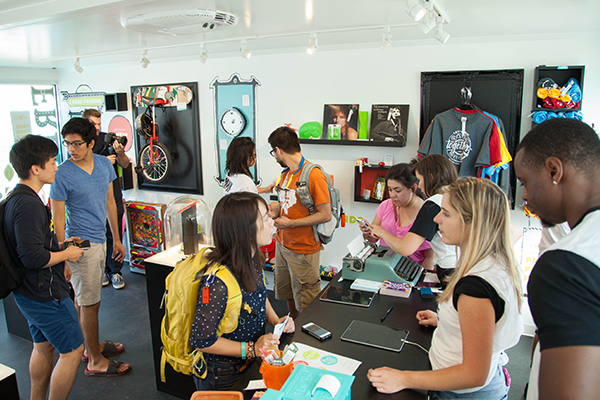 The more friends that were encouraged to sign up for the app, the closer guests would could get to accessing some of the more impressive gift items – like high-end electronics and VESPA scooters.